Cities around the globe are embracing water monitoring and water quality by taking the World Water Monitoring Challenge (WWMC). Throughout the year, starting March 22, individuals and organizations are challenged to participate in WWMC by testing the condition of local waterways to raise awareness about the importance of water quality. Sept. 18 marks World Water Monitoring Day (WWMD), a component of the yearlong WWMC program coordinated by the Water Environment Federation (Alexandria, Va.) and International Water Association (London). On WWMD, residents of Austin, Texas; Denver, and cities throughout Poland monitored local waterways. 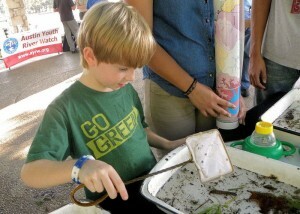 A student studies macroinvertebrates during an Austin World Water Monitoring Challenge event. Photo courtesy of the City of Austin. “Austin’s World Water Monitoring Day celebration brought together organizations with the common goal of monitoring our water quality and working together to improve it,” said Jessica Wilson, education manager in the Austin Watershed Protection Department. Approximately 40 children and 20 adults gathered on the banks of Lady Bird Lake to monitor water and learn about monitoring techniques, Wilson said. High school members of the Austin Youth River Watch heard from water monitoring professionals about career opportunities in the field. The event also drew members of the public who were using nearby hiking and biking trails, Wilson added. 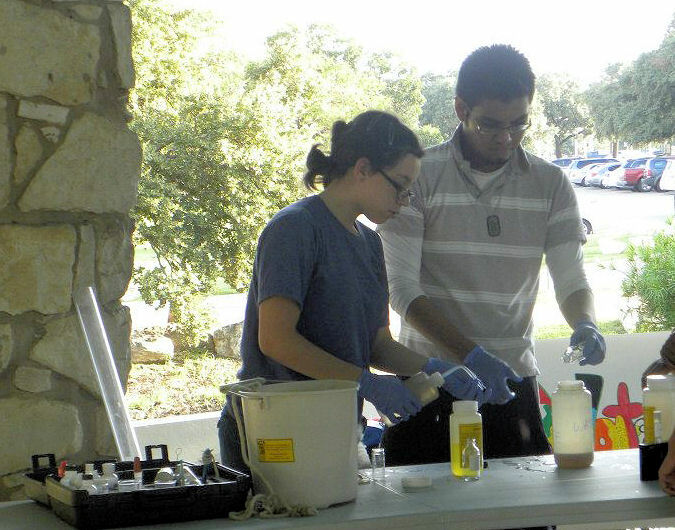 Austin Youth River Watch students test water during an Austin World Water Monitoring Challenge event. Photo courtesy of the City of Austin. “One professional remarked that the event reminded him of the importance of what we do and gave him the opportunity to share that passion with others,” Wilson said. She explained that participating organizations, which also included the Colorado River Foundation (Austin), Keep Austin Beautiful, the Lower Colorado River Authority (Austin), the Austin Parks and Recreation Department, and the Austin Watershed Protection Department, enjoyed the event. The city plans to participate again next year in WWMD 2013. 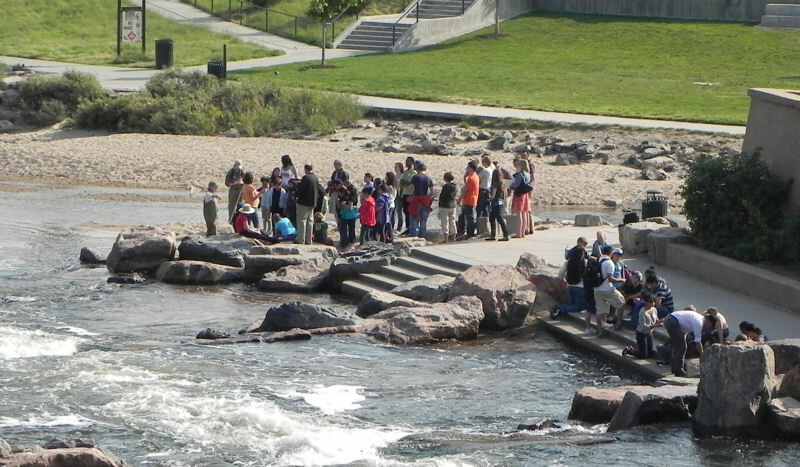 During the Denver event, 75 elementary school students gathered at Confluence Park to test the South Platte River. About 20 Denver School of Science and Technology students mentored the participants as 20 adults supervised, said Amy Lange, CH2M Hill (Englewood, Colo.) Denver area manager. CH2M Hill initiated the event and was joined by the U.S. Environmental Protection Agency, Denver Public Works, Earth Force (Denver), and the Colorado Department of Transportation. Students gather at Confluence Park to test the South Platte River for Denver's 2012 World Water Monitoring Day event. Photo courtesy of Darcy Campbell, U.S. Environmental Protection Agency. “The event was a collaborative effort. The students and volunteers all learned from each other about the importance of protecting our water resources,” Lange said. This is Denver’s fifth annual WWMD event, and the city plans to host the event in future years at the same location, Lange said. The event, held to promote awareness of the waterway’s ecosystem, also included three other educational stations teaching about microbiology, stormwater, and macroinvertebrates. In addition, volunteers visited three fifth grade classrooms of participating students before and after the event to emphasize the importance of water quality and put a focus on the water environment as part of the classroom curriculum, Lange said. One class was at Teller Elementary School (Denver) and the other two classes were at Fletcher Intermediate School (Aurora, Colo.). 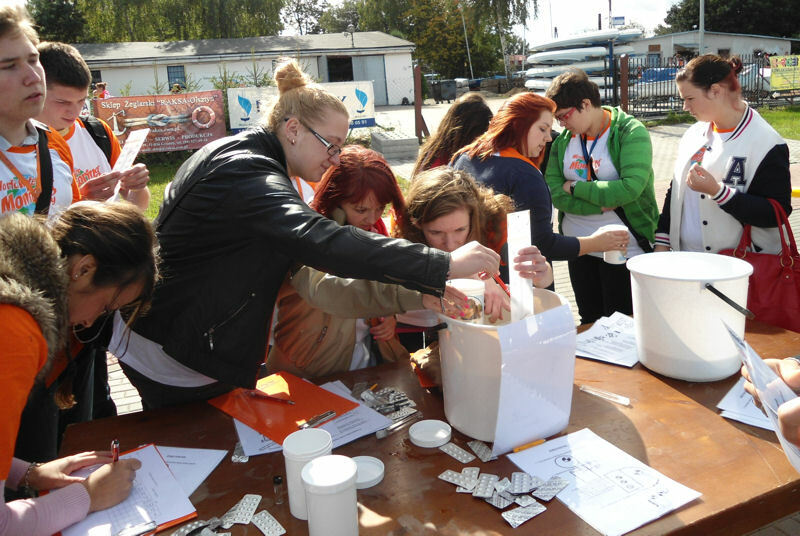 Attendees test water with World Water Monitoring Challenge kits at an event hosted by Animex Ltd. (Warsaw, Poland). Photo courtesy of Agata Ciechanowicz, Animex Ltd. Many international locations also are getting involved. This year the meat production company, Animex Ltd. (Warsaw, Poland), held WWMD events at facilities in 9 different cities. 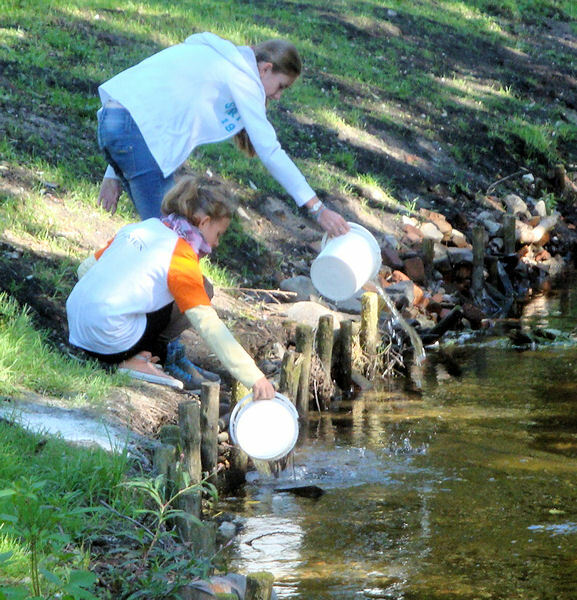 Anywhere from 16 to 70 children gathered at each event to test water and participate in quizzes and competitions related to protecting natural water sources, said Animex’s WWMC event coordinator, Agata Ciechanowicz. “Good quality water is very important in our business, so that is why we educate school children about the importance of clean water in our lives,” Ciechanowicz said. “Children who participated in WWMC were very excited, they really enjoyed the activities. During the events, we try to educate that everyone is responsible for natural water sources and that we can limit the use of water with our daily activities.” The company plans to host the events again, and possibly add a new WWMC, in September next year, she said. Students gather water to test it during a World Water Monitoring Challenge event hosted by Animex Ltd. Photo courtesy of Agata Ciechanowicz, Animex Ltd. So far in 2012, more than 70,000 individuals from 40 countries have participated in the program. Participants can continue sharing monitoring results and stories through the program’s online database until Dec. 31. WWMC receives financial and in-kind support from primary sponsors, including Xylem Inc. (White Plains, N.Y.), Smithfield Foods (Smithfield, Va.), the U.S. Geological Survey, and the U.S. Environmental Protection Agency.